March 26, 2018 - New Yorker Electronics, a certified distributor of electronic components for 70 years and trusted ISO 9001:2015 and AS9120B certified source, has teamed up with Amphenol RF, the world’s largest manufacturer of coaxial connectors for radio frequency, microwave and data transmission system applications. Now, as a distributor, New Yorker Electronics will increase the product offerings to its customers while fortifying Amphenol RF’s global reach with a solid, long-standing network of international clientele. Amphenol RF connectors, adapters, cable assemblies and other RF and Microwave solutions are used extensively in Automotive, Military, Medical, Industrial, Broadband and Wireless applications, making this a great parallel with New Yorker Electronics' areas of expertise and current product offerings. 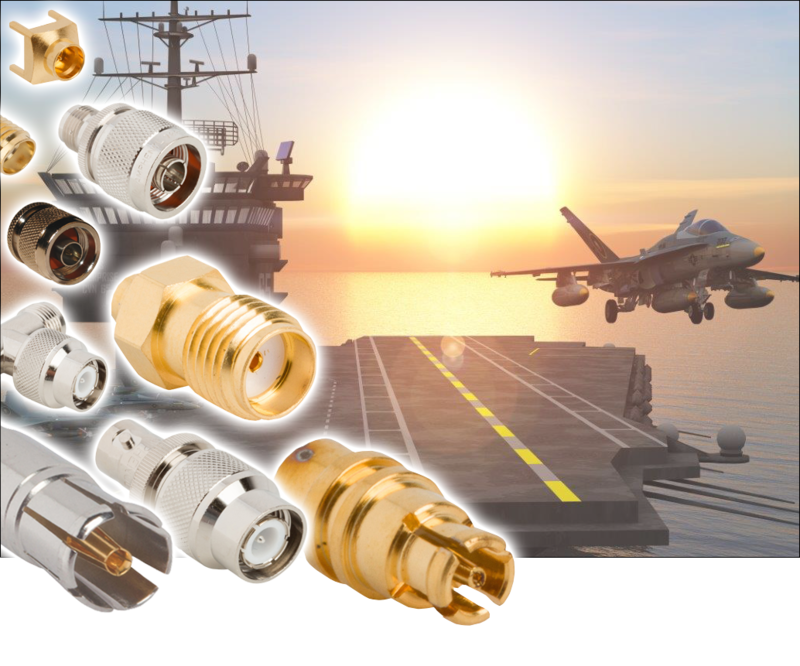 Amphenol RF produces coaxial connectors and cable assemblies in high volume with superior quality resulting in the largest portfolio of Radio Frequency interconnect products – all meeting the most exacting RF and data systems requirements for either military or commercial applications. New Yorker Electronics, which has announced new partnerships with manufacturers Innodisk, MoxiE and Adam-Tech – with more to be announced in the coming weeks – is continuing to pursue its business development strategy, aiming to expand its range of services and strengthen its offerings in all countries where it operates. Amphenol RF is recognized as a leading supplier in the military industry for its quality MIL-C-39012 interconnects and innovative product solutions. With decades of expertise in harsh environment interconnects for land, sea and space, Amphenol RF supports a broad range of ruggedized, high-performance connector and cable assembly requirements. Similarly, New Yorker Electronics is a highly qualified MIL-Spec certified source of capacitors, resistors, semi-conductors, connectors, filters, inductors and more. It distributes to all types of customers but operates exclusively at heightened military and aerospace performance levels. New Yorker Electronics will be distributing Amphenol RF’s full line of RF connectors designed for use in cable mount, PCB mount and Board-to-Board solutions as well as its non-magnetic, IP rated sealed and isolated connectors; in-series, between series and T-shaped coaxial adapters; in-line barrel adapters, bulkhead and panel mount solutions and its pre-assembled, fixed length, standard cable assemblies.